How do we hear God’s still, small voice? How do we hear God’s voice? The Bible says that God has a small, still voice. (1 Kings 19:12) In today’s noisy, hectic world, it can be hard to hear that quiet voice. I personally believe that all the noise in this world today is the enemy’s strategic attempt to keep us from hearing God clearly. He is trying to drown out God’s voice with noise pollution. That is why it’s so important that we take at least a few minutes each day to pull away and be alone with God in prayer and to read His word – to “practice His presence,” as Brother Lawrence wrote about in his book The Practice of the Presence of God. Get alone with God. It’s hard sometimes for us to do the “being still and listening” part, but practice each day just being quiet and listening to hear God speak to you. He will help you with life’s problems each day. You can use a prayer journal or prayer box to record your prayers and answers to those prayers (with the date). Like the memorial stones in the Old Testament, this will help you and your family to remember all the great things God has done. Remember God will never contradict His own word. Any voice you hear that goes against what the Bible says isn’t from God! Meditating on a passage of scripture or on a devotional will help you to hear God best. 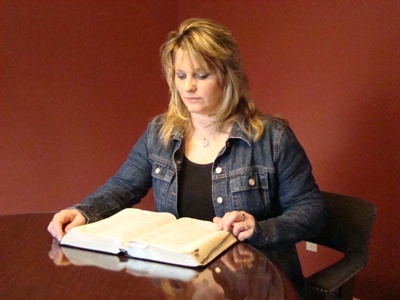 Be sure to check out my friend Susan Evan’s blog post today, Hearing God. Susan’s homeschool blog is a wonderful rich site, with creative hands-on activities for children to do, as well as posts on home organization, travel, finances, and Christian living. Susan has a deep passion for Christ, is a giving and loving person, and she is HILARIOUS! Her website offers ideas for homeschooling with hands-on learning, 75 articles for you to enjoy, and products that will greatly bless you. This morning I just read her ebook, Growing Up as a Missionary Kid, and loved it!